Also known as the “Blushing Dog of Malta,” the Pharaoh Hound temperament is friendly, fun-loving and proud. Are you thinking about adding a Pharaoh Hound to your family? If so, here is some must-know info! Pharaoh Hounds primary purpose was to pursue rabbits at high speeds. They, therefore, need an outlet for their natural energy. You will need to provide your Pharaoh Hound with numerous short daily exercise sessions. 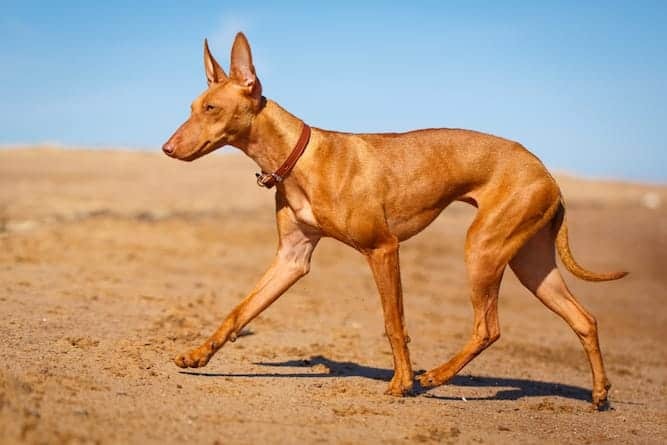 Pharaoh Hounds have a high prey drive, so they should always be exercised within a fenced area in case they bolt after a squirrel or other small creature. As long as their exercise needs are met, they can be calm couch potatoes in the house. They were bred to hunt in packs with other hounds and they vocalize to communicate with the other dogs. Modern Pharaoh Hounds will yodel or bay when excited. They may not be the best choice for apartment dwellers. Pharaoh Hounds have a goofy streak. They are inquisitive and they love playing with toys and people. They are endlessly entertaining and they keep their owners on their toes. If they are bored, they will get into mischief and create their own amusement. These dogs purpose in life was to hunt in packs and make decisions independently from their masters. The modern Pharaoh Hound is sometimes described as stubborn because they like to think for themselves. Pharaoh Hounds make good watchdogs because they will alert their guardians to anything unusual in the environment. They have very good eyesight and hearing. Pharaoh Hounds are sensitive dogs that thrive with human companionship. They can be compatible with children and other dogs when properly socialized. They also need to be closely supervised around cats and other small mammals due to their high prey-drive. 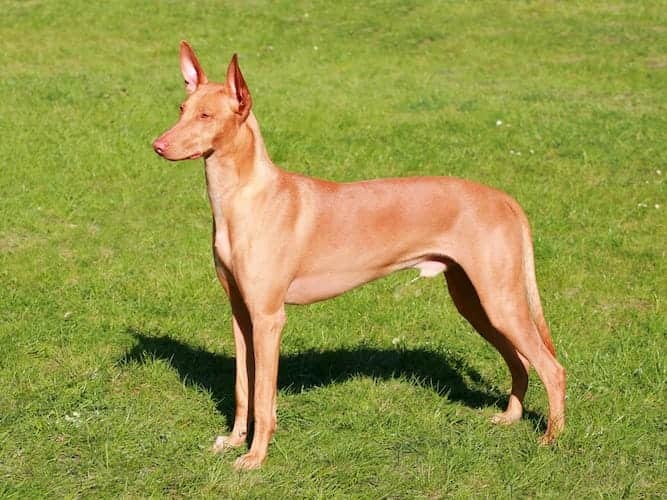 Pharaoh Hounds are one of the oldest domesticated breeds in existence. Depictions of canines that resemble Pharaoh Hounds can be found in Egyptian tombs and temples dating back to 4400 BC. Egyptian Pharaoh Hounds traveled to the island of Malta with Phoenician explorers 2,500 years ago. The citizens of Malta fell in love with the breed and guarded the bloodlines closely. The Maltese have been breeding Pharaoh Hounds in their purest form for over 2,000 years. This is why the modern Pharaoh Hound looks identical to the carvings near the entrance of King Tutankhamen’s tomb. This breed has remained unchanged for centuries. 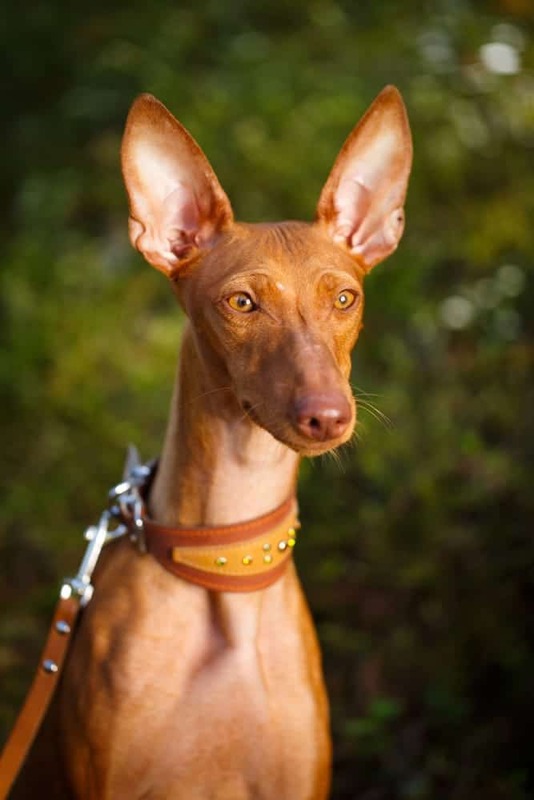 Pharaoh Hounds are striking and distinctive. They are built for speed — are sleek and muscular. They weigh between 45 and 55 lbs, but there is no visible fat on their body. 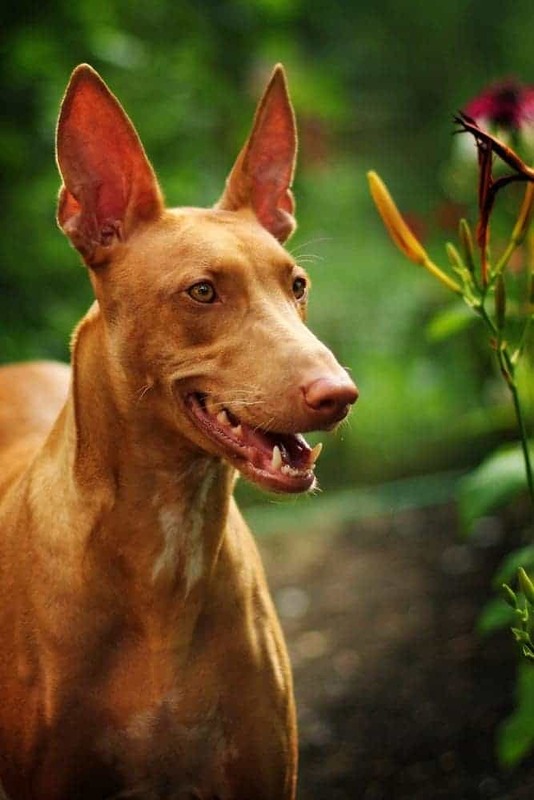 Pharaoh Hounds are tan or chestnut in color. They occasionally come in the color black, although this is rare. Black Pharaoh Hounds are not included in the AKC breed standard. Pharaoh Hounds have amber eyes. They are said to “blush” when excited. When a Pharaoh Hound blushes, the skin around its nose and the inside of its ears turn pink. Pharaoh Hounds are independent thinkers, so you will need to find creative ways to motivate your Pharaoh Hound to obey your commands. Keep training sessions short and use special treats such as small pieces of cheese or deli meat. Never use physical corrections to punish this sensitive breed. Time-outs are a better response to naughty behavior. Pharaoh Hounds respond best to positive reinforcement training. Even after they have gone through training, Pharaoh Hounds should not be trusted off leash. If they see something that looks like prey (squirrel, cat, or a plastic bag blowing in the breeze) their hunting instinct will kick in and they may not heed their owner’s commands. This breed tends to be very clean and easy to groom. Pharaoh Hounds do not require extensive grooming. Weekly brushing and occasional baths and nail trims will suffice. It is important to keep their large ears clean and free from debris. It is important to form a relationship with a veterinarian from day one. Like all dogs, Pharaoh Hounds need a check-up annually for vaccines. Note: The Ultimate Guide to Dog Health is also a great resource that will help you spot symptoms on your own before they become full-blown health problems. Get your copy today. If you are planning to add a Pharaoh Hound to your family, it is great to think adoption first! Adoption is a good way to find a new best friend while at the same time helping an animal in need. The majority of the Pharaoh Hounds that are available through adoption agencies will be adults. Adopting an adult Pharaoh Hound has a lot of perks. Older dogs are already housebroken and have some prior training. They are also calmer and they have moved past the chewing stage. The cost of adoption varies from group to group. Rescue groups may charge a bit more. One benefit of an adopted Pharaoh Hound is that it will already be spayed/neutered and assessed by a vet. Visit local animal shelters and humane societies. Talk with the adoption counselors and let them know that you are hoping to adopt a Pharaoh Hound. Ask if it is possible to leave your name and number on a waiting list for a Pharaoh Hound. If you are willing to check out other similar breeds such as the Ibizan Hound, be sure to make a note of that. Also, inform them if you are open to a Pharaoh Hound mix. Mixed breeds are nice because they have a lot of the personality traits, but they tend to be healthier and less susceptible to genetic conditions. An average adoption fee at an animal shelter is between $75-$150. Spend some time on Petfinder and AdoptaPet. These websites will let you type in your location and they will search for available Pharaoh Hounds nearby. You can set an alert that will inform you if a Pharaoh Hound becomes available for adoption within a certain geographic radius. Another useful resource is Get Your Pet. The Pharaoh Hound Club of America runs a dedicated rescue program for homeless Pharaoh Hounds. If you make the choice to purchase a Pharaoh Hound puppy, be prepared to do your research to make sure that your new pet comes from a trustworthy source. You also need to be ready to pay a much higher price for your Pharaoh Hound pup. Pharaoh Hound puppies are not cheap. The price tag will likely be over $2,000 for a young Pharaoh Hound from a good-quality breeder. Contact the Pharaoh Hound Club of America. They can direct you to responsible breeders in your area. Before you commit to buying a Pharaoh Hound puppy, visit the Pharaoh Hound breeders in person. Make sure the facilities are clean and not overcrowded. Request to meet some of the breeding animals to assess their health and temperaments. If a breeder does not allow you to visit the premises, this is a major red flag. Avoid purchasing a Pharaoh Hound puppy from an internet website or from a commercial pet store. If you do, you are most likely buying a dog from a puppy mill. The Pharaoh Hound temperament may not be for everyone. 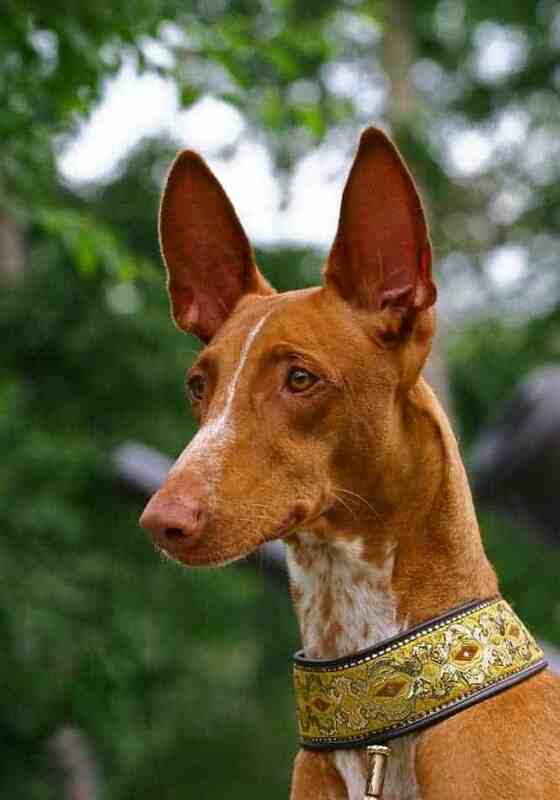 But for those who fall in love with the breed, the Pharaoh Hound personality is perfection! If you are yearning for an affectionate, athletic and comical hound, the Pharaoh Hound might be your ideal match.